She loved to become an actress, it was her passion, her dream, from an early age. And yet, it is at a late age that she managed to make this dream come true, in a brilliant way. Daad Rizk has the gift to put all her heart into the work, to live her role fully, and embody her character … In her latest film Wanted, we see a real shot aged seventy years old, who master this unique art to make us laugh and cry at once … A beautiful bouquet of feelings that the actress shares with Prestige. How did you come to the world of cinema? All my life, I dreamed to be an actress. To my great happiness, my dream came true, a little late. I started in advertising, then I played several roles in soap operas, including Houroub, that was my first participation in a soap opera, alongside Carmen Lebbos and Youssef el Khal, and Ruby, with Nada Abou Farhat … In feature films, my first role was in Nadine Labaki’s film Sukkar Nabat, and most recently I played a lead role in Nibal Arakji’s Wanted, which is still in theatres. Tell us about your role in Wanted … I play a very nice, funny and comical part of an elderly woman living in an old people’s home. There, I meet Georges Diab, a love story between us two follows this encounter and ends with a happy ending, outside the asylum. 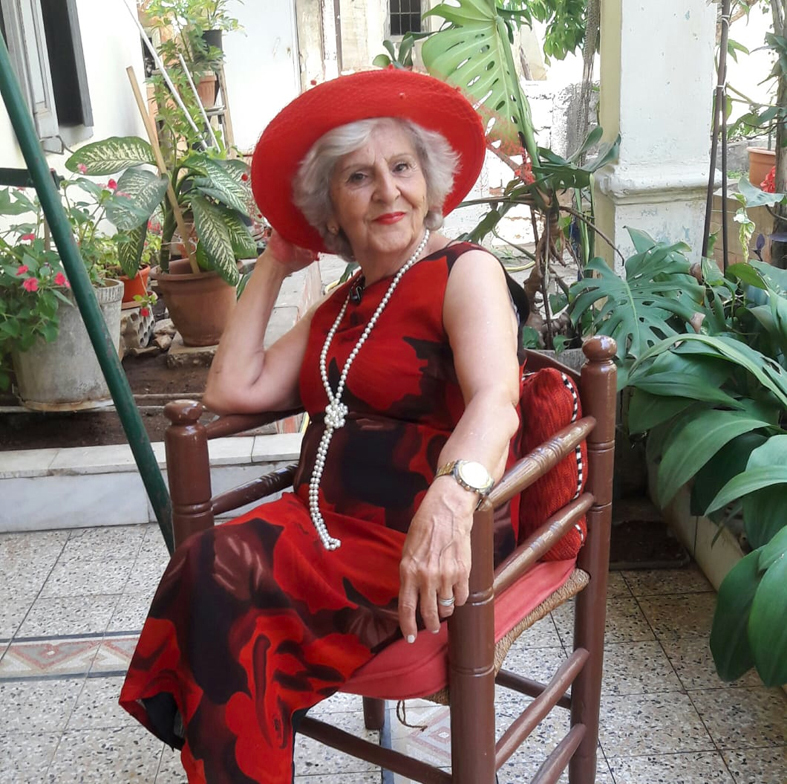 It is the role of a spontaneous lady, in love with life, who reveals a human aspect, to say that nothing prevents an elderly person, living in an old people’s home, from having the right to a new life, which she did not expect. And what about Daad, in life? I have been a widow for 26 years, and the mother of two boys and one girl who has my highest priority. I raised them with dignity, love for each other, love of neighbor and love of sharing. Every delicacy as small as it was, was to be shared equally between the three. That’s how they grew up, united, kind, polite, affectionate and respectful of family and society. I consider myself not only their mother, but also their friend, their confidante, always listening to their joys and their sorrows. What made you accept this role? I loved this role, which is very beautiful. The setting is comical, but the bottom is socio-humanitarian par excellence. It is a message to young people who abandon their parents in an asylum rather than to consider them in their old age. Daad Rizk with Nibal Arakji. © Archives Daad Rizk. Don’t you think that old people need a different kind of affection? For example, a public garden set up in each region for them, a meeting room where they can share a meal and board games with their peers …? Very true. Old people need affection and entertainment, but in Lebanon, above all, they need the promulgation by the State of this famous law on old-age insurance. Much more than a need, it is a primordial necessity. It is the most basic right granted to the elderly and the most important obligation of the state towards them. It is no longer permissible for citizens of all professions to die at hospitals doors. Health is the best human capital. Money is only a means but it does not make happiness. Which role is the dearest to your heart? All the roles I have played are dear to my heart. I embody them. In the series Habbet Caramel with Maguy Bou Ghosn and Talal Jurdi, I embodied the role of a woman suffering from Alzheimer. While in «Ikhtarab el Hay» with Joëlle Dagher, I succeeded to make the public cry. Even if I play drama in an excellent way, I fully find myself in the comical. It reflects my nature, my spirit. Without taking my age into consideration. It’s not the number of years that count, it’s the youth and the freshness of the heart. I love my art, that I consider as a hobby even if I came at a late age into this domain. Actually, my role in the series Majnoun fiki on LBC has a large audience. What about your relationship with the public? It is excellent. I like the public and the public makes me feel good. When I meet people in the street, they are adorable and insist on taking a picture or interacting with me. I am very frank and not at all envious, a happy woman, and the public is my happiness. What is the key to success, in your opinion? To be natural and spontaneous. What is your main quality? My great kindness. It is even excessive and may sometimes cause me harm. What is your main fault? I’m nervous but I quickly find my calm, like all Capricorn. When I love a person, my love for her goes all the way, and vice versa. What advice would you give to the new generation of actors? Be natural. Every age group deserves its beauty. Wrinkles are beautiful, as you get older. One last word? I thank Prestige for this beautiful interview, as well as the readers and the general public who encourages me and surrounds me always with a lot of love. I hope I can continue to honour him as I have done so far. 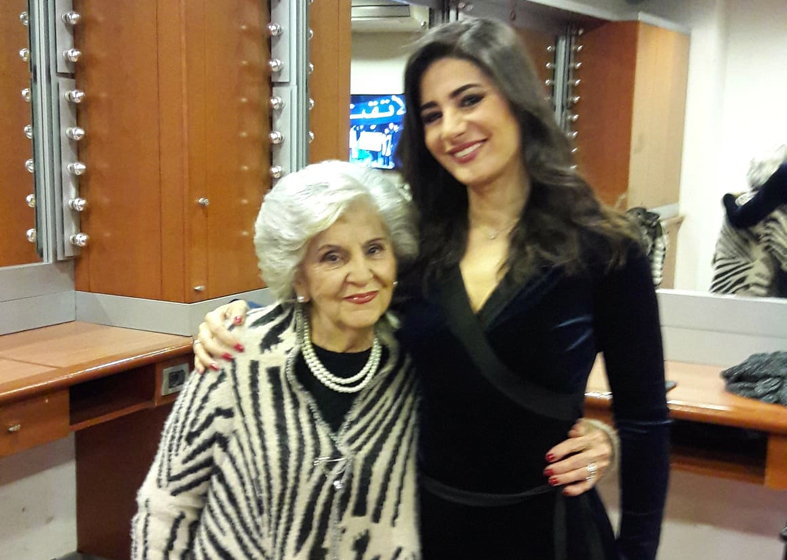 Interview Conducted by Mireille Bouabjian.